Even for a short period, mechanical failure will cause great loss in business. Posted on January 29, 2018 January 29, 2018 Categories UncategorizedTags 3.5 embedded board, AMD, AMD G-series, CANbus, car computer, car computer system, car computing, car pc, COM Express module, embedded board, embedded boards, embedded computer, embedded itx motherboard, embedded linux, embedded linux sbc, embedded motherboard, Embedded PC, Embedded SBC, Embedded System, embedded system boards, Embedded Systems, embedded systems companies, Fanless PC, fanless pc i7, Industrial computer, industrial computer manufacturers, industrial computing, Industrial Embedded mini pc, industrial embedded motherboard, industrial embedded motherboards, industrial motherboard, industrial motherboards, industrial pc manufacturers, intel atom motherboard, Mini-itx, network hardware, network security, Networking, rugged industrial pc, singal board pc, single board computer manufacturer, vehicle mount computer, vehicle power management, windows embedded, x86 single board computer, 單板電腦, 嵌入式工業電腦, 嵌入式電腦, 工業電腦, 無風扇系統, 無風扇系統電腦, 無風扇電腦Leave a comment on Even for a short period, mechanical failure will cause great loss in business. An embedded system is one kind of a computer system designed mainly to perform several tasks, like to access, process, store and control the data in various electronics-based systems. It is a combination of hardware, software, and firmware, and it is designed to make the work more efficient and convenient. The applications of embedded systems usually include industrial automation, computernetworking, telecommunications, digital consumer electronics, machine automation and etc. Generally speaking, acrosser embedded system products can be used in several areas, such asindustrial automation and embedded computing. In terms of industrial automation, Acrosser’s embedded products include embedded automation computers, automation controllers & I/Os, human machine interfaces, industrial communicationdevice, machine automation application and Remote I/O Modules. All these embedded productsimprove productivity and efficiency in factory or manufacturing site. When it comes to embedded computing , Acrosser provides solutions from basic industrial motherboards, such as COM Express Type 6 & Type 7, PC104 ISA board, PCI104 I/O modules, mini-iTX motherboard and EPIC, to 3.5 biscuit single board computers and multifunction fanless embedded Box PCs. Acrosser can design any form factor, on customer request, for POS, KIOSK, Gaming machine, or building automation for multiple industrial applications. 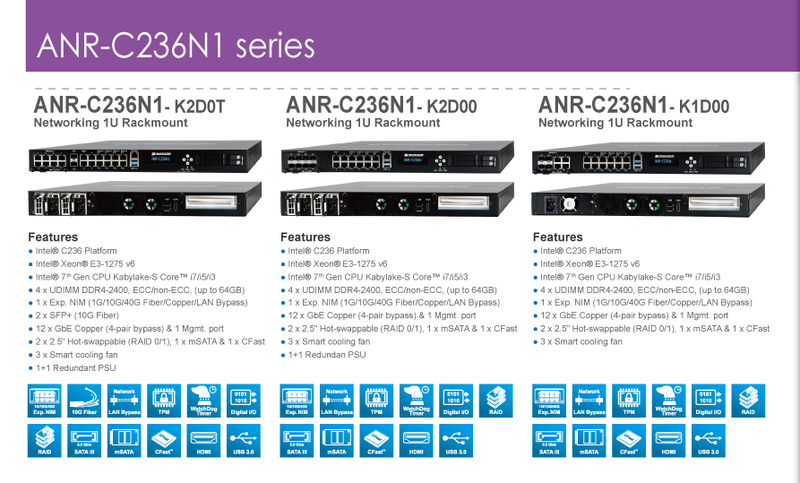 Moreover, Acrosser embedded product line offers robust and reliable system performances, and it also offers a wide series of fanless embedded PC for customers’ system selection. Acrosserembedded product line is perfect for industrial, military/aerospace, gaming, medical,transportation, IoT, and general computing embedded applications. Found in 1987, Acrosser Technology with over 30-year experiences in helping customers to solve bottleneck or problem in industrial automation and factory automation. ODM/OEM projects are always welcome. If you need a reliable experienced partner to help to develop and design yourembedded systems, please feel free to contact us, we will do our best to fulfill your needs.